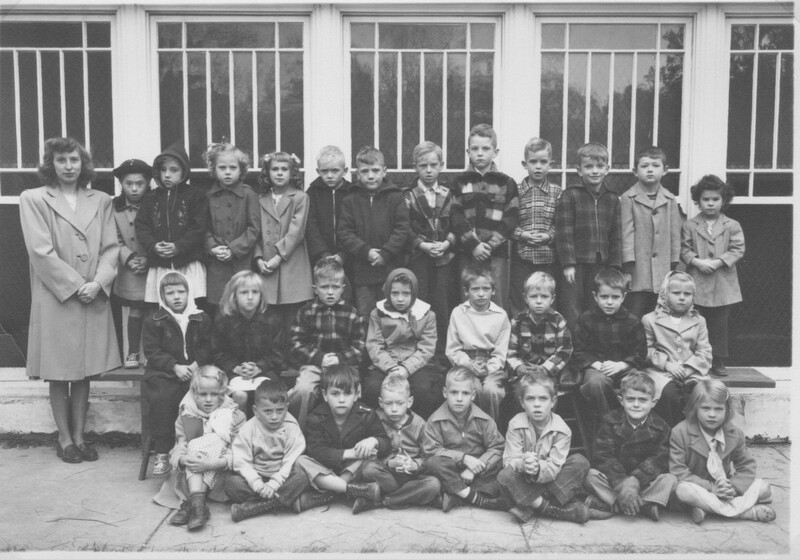 1st row, sitting on ground: Mabel Thrun, Raymond Rice, Charley Meyer, Pat Mullarkey, Charles Gohre, Teddy Berkan, James Rotar, and Rita Ferguson. Sitting on bench: Betty Eaton, Georgina Sperry, Billy Ace, Mary Rose Lamey, Richard Hieman, Kenny Schmid, Bob Foster, and Joan Nelson. 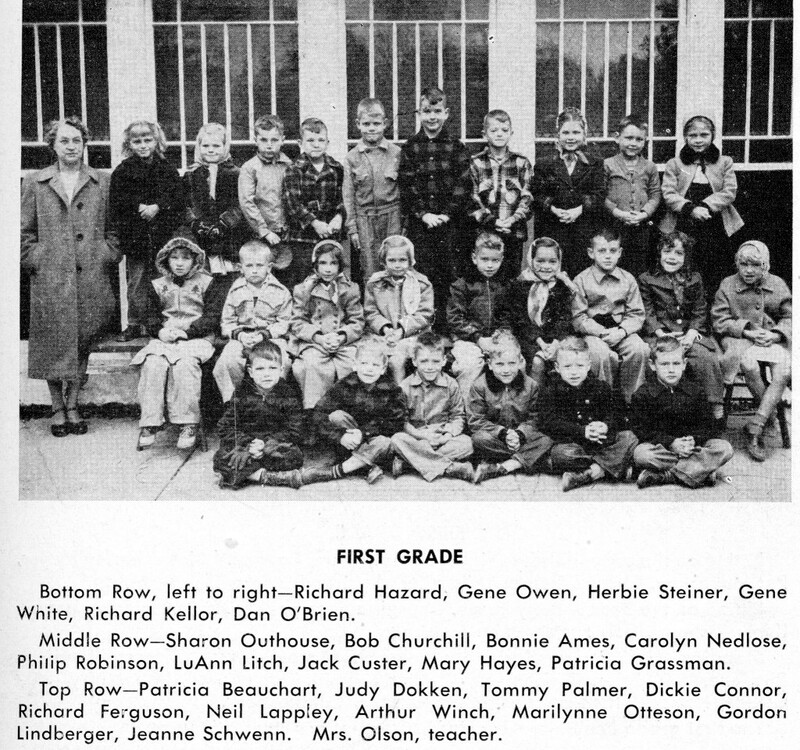 Standing: Mrs. Smith, Karin Shuttleworth, Carole Sersch, Karen Campbell, Rita Thornton, Arlen Christensen, Chester Schmid, Darrell Ace, Bob Merry, Billy Collins, Harland Thoelke, Kenneth Lawrence, and Connie Beer.